But although prices continue to rise, there does not appear to be a bubble forming. Average prices in prime Central London have risen 10.09% over the past four quarters to about GBP1.64 million ($3.4 million), property consultancy London Central Portfolio (LCP) said last week. Long-term growth has averaged 10.5% a year since January 1996. 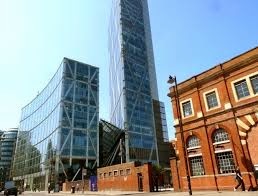 LCP noted that prime Central London transactions are at their highest level since 2007. There have been 6,546 transactions over the past four quarters, up 19.34% year-on-year. Prices in Greater London are also on the rise, posting an annual growth rate of 8.53%, which brings average values to about GBP530,000. Transactions here for London properties are at their highest level since 2007 as well, with 116,551 sales over the past four quarters, up 28% year-on-year. "People buying now can see the benefit of slightly fringe locations, looking at them for the longer-term prospects,"said Mr Liam Bailey, global head of residential research at Knight Frank. The prject is part of Principal Place, a mixed-use development that will feature a 15-storey commercial building and retail outlets as well as a piazza that could become a neighbourhood centre, said W1 Developments. Principal Tower is being exhibited at the St Regis Singapore hotel. Apartments range from 500sqft for one-bedders to 2,500sqft for three-bedders, for about GBP1,450sqft. Price start at GPB600,000. "It's unusual to have an exclusively residential high-rise building at such a prime address," said W1 Developments managing director Christopher Murray. The Landau, a 89-unit luxury building in Fulham, London, was also exhibiting yesterday, at the Regent Singapore hotel. Prices start at GBP915,000 for a one-bedroom apartment. Overall, the pound sterling is likely to remain stable in the short to medium term, and should not strengthen significantly against other currencies during the remainder of teh year, noted Mr Bailey. "As the major issue in Britainis deflation rather than inflation, the bank is unlikely to raise rates." Much has been said and written about the current state of the Londonproperty market and more importantly, whether a bubble is forming (if not already). While many have acknowledged that the bull is running a tad slower these days - prices have fallen for the past 2 consecutive months - home prices in London are currently still hovering at its peak. If long-term price growth for Central London has averaged 10.5% a year since 1996, current prices are already more than 6 times what it was 18 years ago (if our maths are correct)! So with transactions for both Central and Greater London being at their highest levels since 2007, the much bigger investment quantum needed given that prices are at their peaks and properties being labelled as "a commodity that people buy and sell", the underlying risk has definitely become greater when come to investing in a London home. Having said that, there is always money to be made in any kind of market. Key to this is always the "right" timing of entry and more importantly, exit. While the wife and I do not think that the London property market will crash anytime soon, we do believe that a bubble is forming slowly but surely. Going forward, it will be increasingly challenging to make money out of this market. This is mainly the reason why we have decided to exit the London market... but not discounting the UK altogether... yet. No Comment to " London property remains hot with Asians "